If you download FLOW3 and set the file permissions as needed after unpacking, it runs out of the box, using SQLite for the persistence layer. FLOW3 can use other databases for which a PDO driver exists though (YMMV), and in the last weeks I have seen question on using MySQL with FLOW3 appear ever more often. 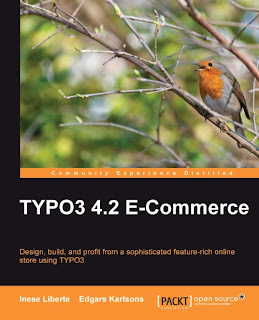 Although I am working full time on TYPO3 Phoenix and FLOW3, this book on TYPO3 4.2 E-Commerce caught my interest anyway. First of all, because I maintain an e-commerce website for a relative of mine and second because the author's names – Edgars Karlsons and Inese Liberte – seemed to sound... latvian. Latvia, that's where my wife comes from and where I have friends and family. So during this year's vacation in Latvia I read the TYPO3 4.2 E-Commerce book. The book is a good one, although it repeats some of the mistakes most technical books make. When I buy a book on building an e-commerce website and the book says knowledge of TYPO3, PHP and TypoScript is required - why do I get instructions on how to install and set up TYPO3 and extensions to get a basic website running? That is basic knowledge I would simply expect the reader to have and use the pages for more relevant information instead. Hiding update instructions in the templating chapter also is a rather awkward choice. After the already mentioned 50 pages on setup and templating, the book covers various e-commerce extensions available in very short form before explaining how to import and maintain products. PayPal is discussed as payment platform, but sadly other payment forms are discussed only very briefly. A chapter on using frontend users and groups to bind customers and enable special pricing and promotions follows. Like in other places, you will need to read the relevant extension documentation in addition to what the book provides. The information on navigation and search inside the shop is sadly not deep enough at all. Building menus with TypoScript needs far more explanation and is in my opinion required knowledge before reading the book, while hints on setting up sitemaps for search engines and providing search options for the shop should have gotten far more attention. Order processing and payment (yes, again) are discussed next and deal specifically with tt_shop requirements. The next chapter deals with the TYPO3 backend and is not only misplaced (should have followed after the setup instructions at the beginning) but again rather a waste of pages - if knowledge of TYPO3 is required anyway... The last two chapters give a glimpse of what the book could have been. They deal with the topics of SEO and marketing your shop in general and show that the authors know a great deal besides the purely technical stuff. All in all the authors know what they are talking about, and the book covers more than just how to set up one extension, but has a more general approach. That makes it useful also for those who do not use tt_shop (used as example in the book) but another extension. If I wanted to hire someone in Latvia to build an online shop, the authors would be among the ones to consider, and that shines through in the book. When we started the first Scrum-style sprint for TYPO3 Phoenix some weeks ago we all were optimistic. In the end it took us a little longer (that's what you get when all those involved forget about holidays and conferences overseas) but we had quite some success. Now we are already near the end of the second sprint, and TYPO3 Phoenix already looks like a CMS. It can have pages and text content, uses TypoScript for rendering and Fluid templates care for rendering of the page as well as the individual TypoScript objects. Menu rendering for hierarchical and breadcrumb menus is implemented and can be configured with TypoScript. 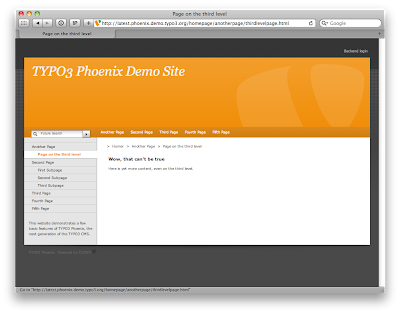 Phoenix can import sites from XML and the editor interface provides ways to change page titles. Talking about editing: We have some great plans in the pipeline that will blow away everything you ever knew about frontend editing. 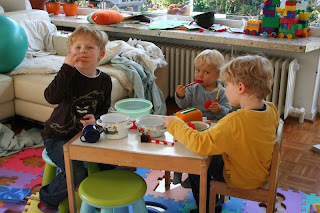 We hope to have some first steps towards that done during the TYPO3 Developer Days 2010 currently taking place in Elmshorn.